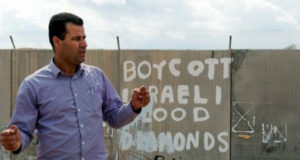 This Friday June 30 2006, the people of Bil’in along with International and Israeli activists will engage in their weekly demonstration against the apartheid wall built through their land. 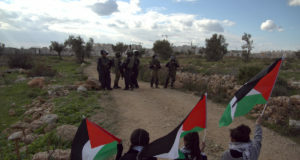 For more than 1 1/2 years the villagers have been non-violently protesting with new creative themes representing various aspects of the Occupation. This week they will be focusing on the execution of Palestinians by Israeli incursions, starvation, bombardments on Gaza and daily restrictions on Palestinian life. They will be wearing hoods made to resemble those donned by people slated for execution. 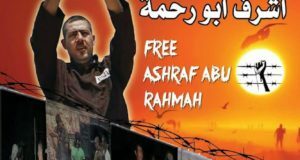 Than you for the donations to free Ashraf Abu Rahmah!